Updated: 10:38 a.m. | Posted: 6:04 a.m. 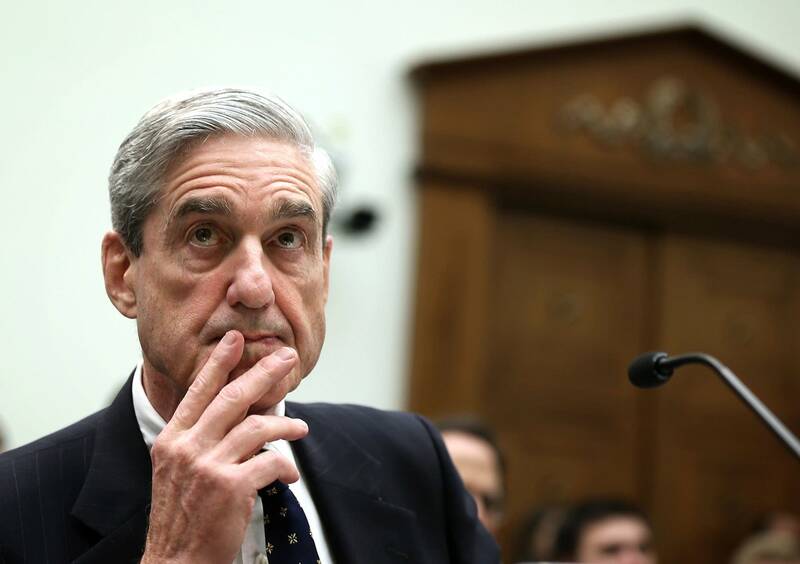 High-profile supporters of President Donald Trump are turning on special counsel Robert Mueller, the man charged with investigating Russian interference in the U.S. election and possible collusion with Trump's campaign. As Mueller builds his legal team, Trump's allies have begun raising questions about the former FBI director's impartiality, suggesting he cannot be trusted to lead the probe. The comments come amid increasing frustration at the White House and among Trump supporters that the investigation will overshadow the president's agenda for months to come -- a prospect that has Democrats salivating. Still, Chris Ruddy, the CEO of Newsmax and a Trump friend, suggested the president was already thinking about "terminating" Mueller from his position as special counsel. "I think he's weighing that option," Ruddy said in an interview Monday with Judy Woodruff of "PBS NewsHour." House Speaker Paul Ryan told reporters Tuesday any talk about Trump wanting to rid himself of the special investigator amounts to "rumor." Yet it's a line of thinking that is making its way to the president's ears. Former House Speaker Newt Gingrich said Tuesday that Trump called him Monday night because of Gingrich's concerns about the Russia probe. He called because "I have been very clear" about Mueller and the lawyers he's hired amounting to a "rigged game," Gingrich said in an interview Tuesday on CBS. "It's a mistake to pretend that this is going to be some neutral investigation," Gingrich said. Rosenstein is charged with Mueller's fate because Attorney General Jeff Sessions recused himself from all matters having to do with the Trump-Russia investigation. Sessions made that choice because of his own conversations with Russian officials during the Trump transition — a potential part of the probe. Rep. Adam Schiff, the top Democrat on the House Intelligence committee, said any move to oust Mueller would "be the last straw" for many in Congress and would have "echoes of Watergate," when President Richard Nixon dismissed special prosecutor Archibald Cox over Cox's subpoenas for White House tapes. Schiff told MSNBC's "Morning Joe" on Tuesday that "I don't think the Congress would sit still and allow the president to pick his own investigator." But after the testimony of former FBI Director James Comey last week, Gingrich said he'd changed his mind. Gingrich said he is troubled by Democratic donations of Mueller's picks to help lead the probe. They say Trump did not collude with Russia and see the investigation as a politically motivated sham that handicaps Trump's ability to execute his agenda, according to one person who advises the White House on how to handle the probe. The person demanded anonymity to discuss strategy on the sensitive matter. Ruddy appeared to be basing his remarks, at least in part, on comments from Jay Sekulow, a member of Trump's legal team, who told ABC in an interview Sunday that he was "not going to speculate" on whether Trump might at some point order Rosenstein to fire Mueller. "Look, the president of the United States, as we all know, is a unitary executive. But the president is going to seek the advice of his counsel and inside the government as well as outside. And I'm not going to speculate on what he will or will not do," Sekulow said. Still, he added, "I can't imagine that that issue is going to arise." It wasn't clear whether Ruddy, who speaks with the president often, was basing his remarks on a specific conversation with the president or entirely on Sekulow's comments. Ruddy did not immediately respond to questions seeking clarification. Ruddy was at the White House Monday to meet with White House aides, but did not speak with the president, Press Secretary Sean Spicer said. "Mr. Ruddy never spoke to the president regarding this issue," Spicer said. "With respect to this subject, only the president or his attorneys are authorized to comment." White House spokeswoman Sarah Huckabee Sanders said via email, "Chris speaks for himself."